Nainital is most popular hill station of Kumaon region. It is famous for its Naini Lake located at the centre of the town and several other lakes of nearby areas. 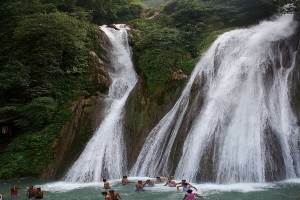 Cool weather and Himalayan beauty attracts several tourists from all part of the world and particularly from the plan areas of north India during summer seasons. 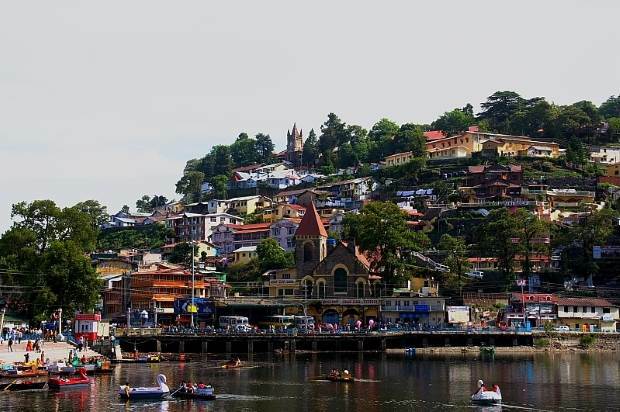 Located at a height of 1938 meter Nainital has its past glory in the form of its heritage buildings of British period. Nainital is well connected by road network from other parts of the country. From Delhi this is located at a distance of 310 KM. The distance reduces by 20 KM by some different shortcut roads near Nainital. The main important city on the way to Nainital from Delhi is Moradabad (inside UP state). At the staring of the Mall road there is a status of GB Pant (Pandit Govind Ballabh Pant ) the famous freedom fighter and administrator. This is the main city center and starting point of the lake. This end of the lake is known as Mallital ( the northern part of the lake ). The park at here is also named after Pandit GB Pant. This beautiful park at the edge of the lake has a open space used as playground and beautiful Jama Masjid is located at this end. The local name of this road is Thandi Sarak or the cold road. This road is located at the other end of the Naini Lake of Nainital. This side of the lake is usually not visited by the tourist who prefer to stay at main side, the Mall road side of the lake. Thandi Sarak is popular among the locals. As the name says this side of the lake is cooler than the other side, this is because of the long trees and the hill blocking the sun rays in most of the time in a day. 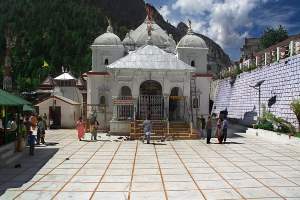 No shops are located at this side and some temples of Lord Hanuman, Shiva are located. This cool road or Thandi Sarak is good place to take photograph of Lake along with Mall road and cable car. The compress houses are located this side which blow air into the water to clean the lake. You can go for a walk using this road and return to Mall road. On the Mall road by the side of the Naini Lake the cable car or ropeway entry point is located. This is near SBI and absence of a clear visible board confuses many tourists. 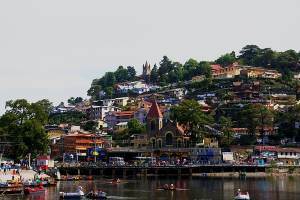 You need to ask the locals about exact entry point to the cable car but on enquiry you will be offered with other services like taking a guide tour, horse ride and taxi drive to the pick. Some of them will discourage you to take the cable car as you have to wait for your turn. They will tell you at what time your turn is expected. To enquire about the timing it is better to go to the ticket counter and talk to the person inside. Like Mussoorie cable car here also two cars are used. During peak summer seasons some time you may not get a chance to board the cable car in same day. 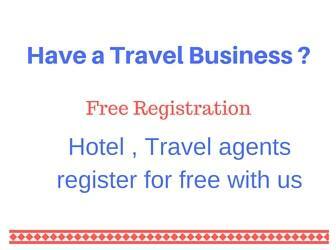 Particularly in weekends like Saturdays and Sundays of May month you will get the next days reporting time. 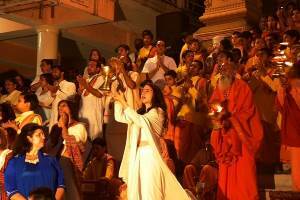 So it is better to take the ticket first on your arrival at Nainital and then plan for your other touring activities. Your reporting time will be mentioned on your ticket. The price for both way ride is Rs 150 for adults and Rs 100 for kid's 3 to 12 years (Infants are not charged). You can stay for one hour at the peak and return to the base after that. While going up by cable car you will get a clear and beautiful picture of the Naini Lake and surrounding hills. Visit the picture gallery for more pictures. At the top of the hill at height of 2270 meter you can spend some time by enjoying the beauty of green forest around and go for some games as there is a amusement park located here, go for rappelling and play some games here. On a clear sky you can see Himalayan peeks by using a power full binocular fixed at top at a fee of Rs 5 ( Rupees five ). There are many stalls selling Indian and Chinese fast food and at every step you will be offered with these foods and coffee , tea, cool drinks etc. Toilet facility is also available at the top. Good lake view is not possible because of long trees but while going up or coming down you can take good photos. Take the lower position ( down side ) inside the cable car if you want to take some good photos of the lake. Naini Lake boating is one of the major attraction for tourist visiting this hill station. 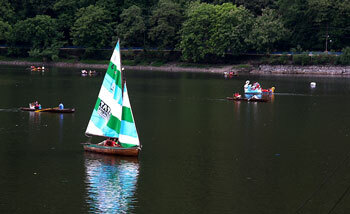 Different types of boats like paddle boat and rowing boats are available. The cost of a full rowing boat for 45 minutes to one hour is Rs 132/- . The rate is fixed and tickets are to be purchased from marked counters only. There is a shorter duration boating also available. One family can use one boat. Life jackets are used here. Boating facility is available by the side of the lake in many places around Mall road. While walking by the side of Mall road you will be offered a boat ride by many here. There is a local Yacht club at Mallital popularly known as Boat club. Now Yachting is open to general public and tourist also. But number of Yachts is limited on the peak tourist season we could find two or three Yachts only inside the lake. By the side of the Lake you can dress up using colourful dress of kings, queens, Pathan, Dacoit and many other types and take photos. Photos taken here are delivered at your hotel room in evening and you can pay after getting the photos. This facility is available in many other tourist spots around Nainital. It is little adventures to cover all the caves, not so easy but can be covered. Some places you may have to site or crawl to pass through the narrow passages. It will take 30 minutes to cover all the caves. Opposite to Cave garden is Sukha tal ( dry lake ). During rainy season only water remains here and other times this small lake remains dry. Water from this lake is also pumped to main Nani lake. From here you can go for a six point horse ride for two hours. The charge will be Rs 600 /-. By horse you can view Khurpatal, Dorthy Seat, Naina Peak, Lands end, Barra Pathar, Tiffin top, Himalayan Darshan and tiger top. Here rock climbing training facility is also available. For this a vertical arrangements is constructed. Lovers point and seside point is available near to this , these are view points with deep valley below the rocky tops. Mall road is close for vehicles from evening 6 PM to night 9 PM. If your hotel is located in mall road or approach road passes through mall road then you have to take special care during this time. You need to take a separate vehicle available at Mall road to visit the zoo. Per head cost is Rs 30/- , it will take 2 hours to visit zoo and return to Mall road. Opposite to Mall road side of the lake at a height is located Governers house. This place is 2 KM up from the Lake area. Tourist are allowed to visit inside the boundary wall of the Governers house but not allowed to enter into premises of the building. There are several old architectural buildings and they are used for official purposes. The main two visiting area are Golf ground and governors house building. There is a entry fee of Rs 30/- for adults and Rs 20 for children. Cameras are allowed inside. The entry is open from 11 AM to 4 PM. No holiday. 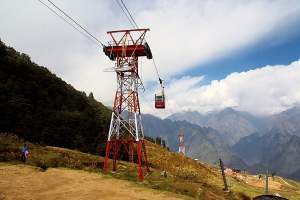 If you are staying at KMVN snow view TRC then you can use cable car as complementary and come down to Mall road. You can go for a half day tour to cover some other lakes located near Nainital, these lakes are Sattal, Bhimtal, Bhowali, Naukuchiatal and Hanuman Garg Temple. Sat Tal or seven lakes is located at a distance of 20 KM from Nainital. Bhimtal is named after one of the five Pandva brother is the biggest lake of the area. At a distance of 22 KM from Nainital this lake is 1701 meter in length and 454 meter in width. There is a old temple by the side of the lake. 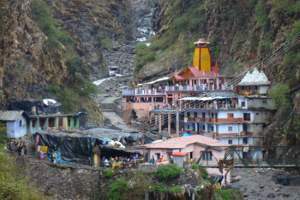 There are other hill stations and tourist places located near Nainital. They are Ranikhet, Bowali, Kausani, Chaukori and some more. However if you have not visited Corbett National Park then it is advisable to take a one day tour to Corbett National Park at Ramnagar.